Google, Amazon, Apple, and Microsoft may all be the key to the clean energy push. It’s looking like Google (along with Amazon, Apple, and Microsoft) will provide the massive push we need toward implementing renewable energy at a greater scale. On April 1st, Google announced on their blog that the four tech giants filed a legal brief with the DC Circuit Court supporting the Environmental Protection Agency’s (EPA) Clean Power Plan (CPP). The plan aims to push the transition toward clean energy, including energy development and efficiency. The amount of energy we use collectively is staggering. Last year, we used 10 million megawatt hours (MWh) of electricity in the U.S. alone. If we continue this reckless trend, it’s no doubt that we’ll need more efficient and sustainable sources of energy—and it makes good business sense. Google provides a great example in making a switch toward clean energy. They’ve been carbon neutral since 2007, purchasing over 2 Gigawatts of solar and wind energy from 15 different contracts. That’s basically taking one million cars off the road. Google’s most recent purchase now makes them the largest non-utility renewable energy purchaser in the world. They’ve also invested more than $2.5 billion in renewable energy projects globally. 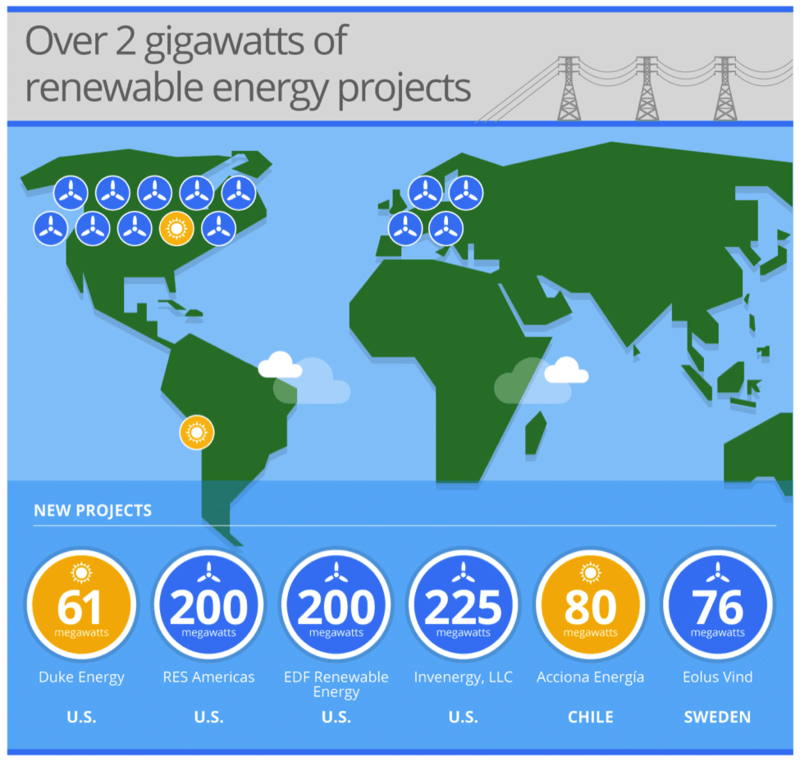 Google’s initiatives are just a few examples of a company driving the commitment to renewables. If we want a clean energy future, we must devote our attention to evolving the necessary technology. The CPP is important in that push and the message is clear—we need to tackle the world’s energy and climate crisis by encouraging innovation and growth. True, given the current climate and mood on the issue, Google and the others might be accused of simply catering to the tastes of the moment to enhance their bottom-line; but the importance of the undertaking is undeniable, whatever its motive. If the viability of renewable energy is to be conclusively demonstrated to a wide audience, who better to do it than the tech giants of our day? Punitive legislative actions will likely convince very few, and may result in an unwanted backlash; but if the tech leaders show the way, and demonstrate that renewables are a sound business choice, then the widespread adoption of clean energy may not be so very far away after all.